What an iconic car the Maruti 800 is what you wouldn’t hear anyone saying nowadays. 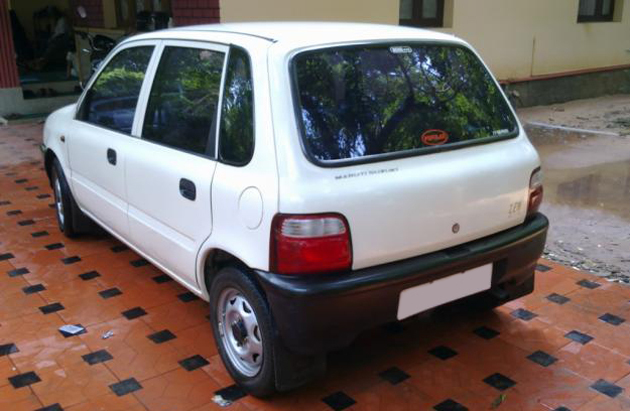 But then the upgrade from the Maruti 800 in 1993, the Maruti Zen definitely is called as an icon. Why so? Due to its superb engine and handling response. It was the original hot hatch of its times and enthusiasts will still recollect the great times that they had with this hatch. Nevertheless, it is said that basic transportation needs were taken care of by the M800 back then and if you need any more of the style quotient, then the Zen it would be. In 2006, Maruti made sure that the old Zen made way for the much more spacious Estilo model. Now, the fans of the older Zen weren’t impressed enough and many would still prefer the older model albeit with wider tyres and the likes. This leaves the market wide enough for the sale of used Maruti Zen cars. A few tips on what to watch out on these cars wouldn’t go wrong. 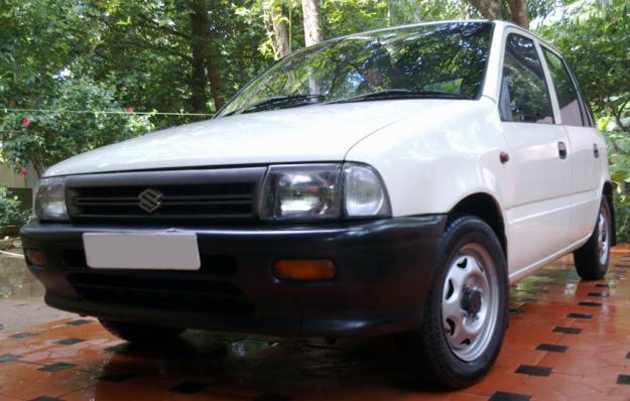 So, here is presenting a few tips on buying a second hand Maruti Zen in the Indian market. Since the Zen is a pretty nimble thing, there are less chances of having dents and stuff on it. However, as is the norm do watchout for uneven panel gaps and also signs of paint quality not matching enough. Earlier Zen cars were prone to corrosion and hence this aspect shouldn’t be ignored for these cars. Ramp up the car on a ramp and lookout for signs of any under-body damage. Other than that, the head lamps of a second hand Zen would most likely develop the mist and moisture thing in rainy season. Its slightly expensive to get them replaced but way lower than what its competitors demand. Bumpers are also relatively cheaper to replace and even though the car has been discontinued approximately 6 years back, they are still readily available. As was the norm, the Zen came in both carburetor as also the fuel injected version. It is easier to find both the versions. However, the fuel injected variant is the one to go for. The Zen’s engine is based on a stripped down version of the Esteem’s 1.3 liter engine. The 997 cc engine of the MPFI version Zen has got an electric ignition to it. This ensures that the engine performs faultlessly as also the emissions are kept on the lower side of things. The carburetor version of the Zen has got a typical problem which can be more or less traced to the Zens running in traffic conditions most of the times. Most of the time, half the power of the car is unutilized and hence the Mikuni carburetor’s secondary butterfly often used to get jammed due to discrete use of it. However, this isn’t a big problem either and was caused due to the gumming of petrol in the valve. Also owners who don’t prefer revving their cars would face this problem. Cleaning the carburetor should ease this problem or even spraying good old WD-40 in it would help. Other than that, an overhaul once the engine has crossed the 1 lakh kms mark is highly recommended. Regular topping up of oil and checking the coolant and other stuff should ensure that the engine performs without any glitches. Though Maruti engines are generally known to be trouble free units, the clutch units generally have a tendency to be a bit problematic. The diaphragm-type clutch which the company persisted with in almost all its cars created a sort of play in the clutch pedal. If at all the car that is being evaluated has got a clutch pedal which refuses to engage the gears correctly, then it means a worn out thing. Since the Zen is a car which most owners buy for enthusiastic driving purposes, the clutch pedal would definitely conk out at around the 30k mark. If at all, the first owner was a lady or even a doctor, then this figure near about doubles. Maruti did the unthinkable earlier on when they brought in an auto variant of the Zen in the market. This was a dated 3 speed auto version which, nowadays, is very rare to find even in the used car market. If one is lucky enough to find one in relatively good condition, then nothing like it. It is an almost maintenance free thing and once in while, having a nice deep look into the transmission casing for any probable oil leaking cases would be a nice thought. Also once in every 10k kms, the consistency of the transmission also has to be checked. At every 40k kms, it is mandatory that the transmission fluid for the automatic should be replaced. The only thing which can probably cause a problem would be the oil level. Automatic transmissions rely heavily on lubrication and even a slight dip in the oil level would result in the transmission to wear out prematurely. For the clutch overhaul in a manual, the approx cost works out to be Rs 5k including labor. The clutch cable costs Rs 157, the Cover assembly comes in for Rs 890, the release bearing for Rs 2160 and the disc for Rs 1055. The labor cost comes to Rs 1015. The suspension of a Zen consisted of the industry standard McPherson at the front and three-link rigid axle at the rear. The suspension of the Zen was known to be quite problematic more so since this was the first application by Maruti in their passenger car. With many kilometers racked up into the odometer, the suspension bushes tend to wear out and the distance between the fender and wheel starts to close in, leading to damping problems and a more than firm ride. The tyres also suffer as a result and hence negative camber can be observed. The solution to this problem is to look out for the struts and replace them at timely intervals. If the used Maruti Zen that you are eyeing has got more than 50k kms under the belt, then its time to change the lower arms and the strut. For the front lower arm, it would cost Rs 786 and for the rear trailing arm, it would be Rs 885 per piece. The struts are a lot more costlier and the kits have a cost of Rs 1800 attached to them while the rear shock absorbers cost Rs 1305 and strut comes in for Rs 1546. The total cost for the labor comes to Rs 700 approximately. Tyres in the Zen’s 13 inch rims were also found to wear out prematurely. This was an inherent thing with the car’s design and something which the second hand car owner would have to live with. Bent wheels are a common sight in many second hand Maruti Zen cars and checking the rims should be the first priority for any second hand owner. Straightening out of the rims should solve the issue temporarily. Wheel balancing should be done at every 5k kms while the wheel alignment should be checked at every 10k kms. The cost would come to approximately Rs 600. The steering wheel of the Zen suffers from significant play in its operation. The damper nut is the culprit here and just a regular tightening of it would ensure that the play goes away. If the Zen one is eyeing has got a good mileage on its odo, then the replacement of the rack bushes should also be done. The steering rubber boot also needs attention at every service. At every 40k kms, the steering tie rod ends also need to be replaced. For an overhaul of the steering rack, the labor cost comes to Rs 684 and it is recommended that it should be done every 50k kms. The tie rods cost Rs 254, ball joint comes in for Rs 475, steering boot for Rs 195 while the rack bush for Rs 90. Before buying the second hand Zen, do watchout if these replacements have been made or not. The wheel bearings need to have a look at every 40k kms. The front costs Rs 450 while the rear one costs Rs 370 and the overall labor cost comes to Rs 500. Vacuum assistance was first provided in the Maruti Zen and hence braking was a good improvement from that of the Maruti 800’s. If the used car which is being considered has already gone through its regular service schedules, then all one needs to do is check the disc brake pads and also the drum ones at the rear for the regular wear and tear thing. If on the test drive, the brakes emit a grinding noise, then it means that the brakes are worn out and need a replacement immediately. A contact of metal with metal is indicated by the disc radial scoring. Every 40k kms, the brake oil needs to be replaced every 20k kms, the brake pads have to be replaced. Once in 2 years, the wheel cylinders as also the master cylinder rubber parts have to replaced, according to service schedule by MSIL. In every service, ensure that the parking brake cable is adjusted accordingly. Since it is of the manual types, there is less scope of it needing any adjustment itself. A used Maruti Zen still commands a decent price in the market. Cut to a 1999 model which goes for anything between Rs 80k to Rs 1 lakh. 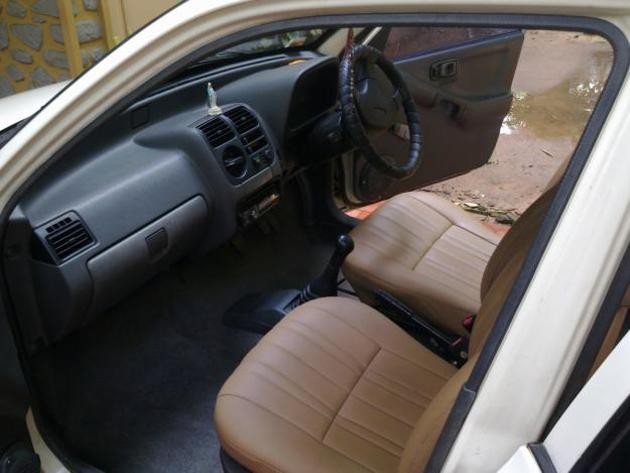 Also the second hand Maruti Zen price from the 2005 batch would be near the Rs 2.2 lakhs mark. Due to its fun filled and frugal nature (a well maintained Zen still returns 13-14 kmpl in city and 18-19 kmpl on the highway), it is much sought after. Spare parts and ease of service is another reason why people generally choose Maruti products even in the used car market. If a slightly cramped driving condition as also interiors is favorable with the buyer, then the used Zen makes sense. It’s a compact and zippy thing. The interiors are nothing to talk about and watch out for electrical problems as also the gear lever and stuff becoming scuffed over a period of use, however, all this can be overlooked. i want to buy maruti jimnny so plz send me full details of it.i wanna to buy petrol variant and tell me whn it will launch in india and from which date we will start booking and what is the prices of it……………..its URGENT………. i want to buy maruti 2ND HAND CAR. so plz send me full details of it.i wanna to buy petrol variant and tell me whn it will launch in india and from which date we will start booking and what is the prices of it……………..its URGENT……….